Major spoilers ahead! If you are still here, we guess you have watched the first episode of Game of Thrones aired today. The final season of Game of Thrones premiered today and we are still trying to wrap our head around it, as there was so much happening. We witnessed so many reunions we have been waiting for a very long time. The best moment of the episode for me was the heart-warming reunion of Arya Stark and Jon Snow. On the other hand, the most complex and important reunion was between Bran Stark and King-slyer Jaime Lannister. Both of the characters are polls apart and don’t belong to the same world, but their path crossed years ago and that has changed their fate completely. The first episode ended with Jamie and Bran staring at each other, which could have been the coldest stare we have seen in the history of Game of Thrones. This scene was reminded us of the cliffhanger of the first episode of Season 1. 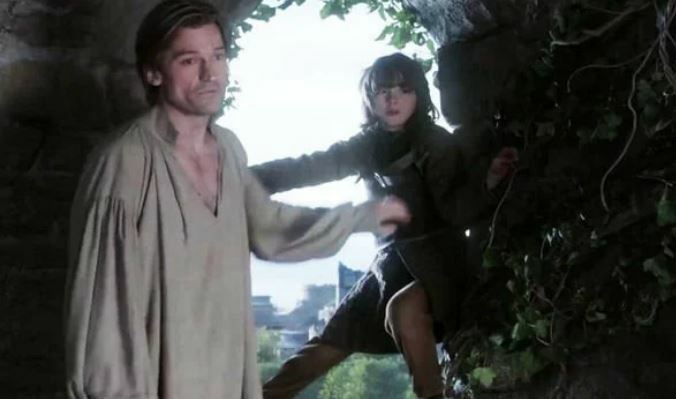 In the first episode of Game of Thrones, young Bran caught Jaime and Cersei having s3x at the top of a tower in Winterfell. Jaime pushed Bran off the tower, which crippled Bran forever. This event also set the tone of the Game of Thrones Universe. That scene cemented Jaime as the most dishonorable men in the Westeros and Bran being somewhat of a liability. However, things have changed after 8 years of that game-changing event. Both of them are crippled in one way or another by all that has happened to them in their respective lives. Bran is now the Three-Eyed Raven, whereas Jaime is an honorable man who chose to fight in the war with the living. After years of waiting, these two characters have finally reunited. However, what has amazed us is the fact that Bran knew that Jaime was coming all along. As you may remember when Sam asked him why he’s outside, he very nonchalantly said, “waiting for an old friend.” and then came Jaime. Just like their first season cliffhanger encounter, this scene could also change the course of the series.